Winter Spring, FL WW/Press/April 13, 2016 – Nadine A. Brown, Attorney with the Law Office of Nadine A. Brown, P.A., was selected for inclusion in the forthcoming Top Attorneys of North America – 2016 edition of The Who’s Who Directories. The accomplishments attained by Ms. Nadine Brown in the field of Legal Services warrants inclusion into the Top Attorneys of North America. 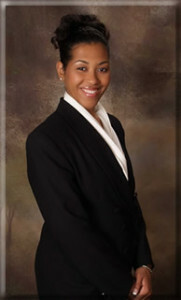 Attorney Nadine Brown practices in the areas of immigration, family, dispute resolution, consumer protection, housing, real estate, landlord tenant law, wills and trusts. She is a true advocate for her clients and has experience in community outreach and grassroots development issues. Although Ms. Brown uses her conflict resolution skills as a Parenting Coordinator and Florida Supreme Court Certified Family Mediator, she has litigated family law cases involving divorce and child custody and support modifications. As an advocate for children and human rights she has represented unaccompanied Haitian minors in dependency proceedings in juvenile court and at the Immigration Court in Orlando, Florida. She has advanced the cause of refugees and immigrant by winning asylum and deportation/removal cases for individuals from all over the world including but not limited to countries like Senegal, Egypt, Cuba, Haiti, Ecuador, Albania, Kosovo, Mexico, Jamaica, the Dominican Republic, France and Russia just to name a few. Her goal is to impact people and change their lives one clients at a time. Nadine received her J.D. from the University of Florida’s College of Law. She is licensed to practice in Florida and the District of Columbia. 2 Comments on "Top Attorney – Nadine A. Brown"
An Amazing and professional services I received from the law firm of Attorney Nadine Brown,she deserving the recognition as Top Class Attorney, much Respect priceless. . Thank you for your continual dedication to Humanity of all walks of life. .